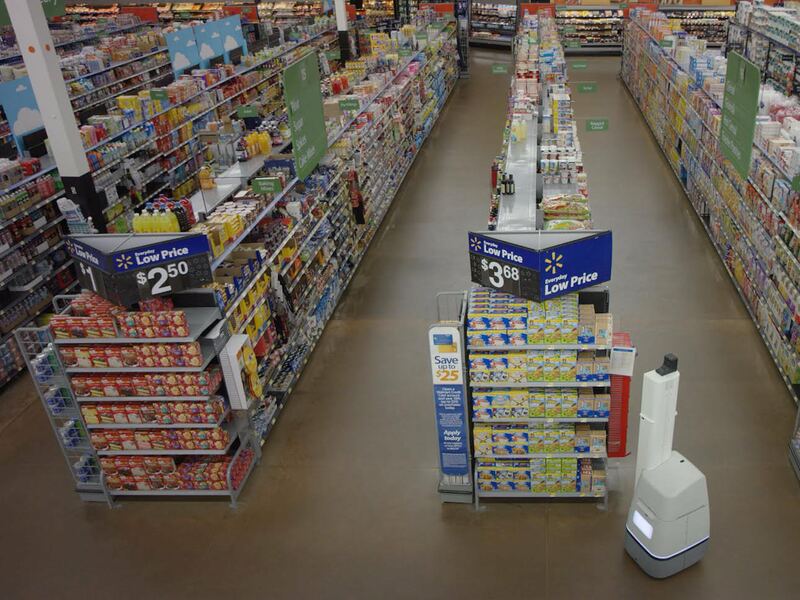 The robots go up and down the aisles, scanning for out-of-stock items, incorrect prices, and wrong or missing labels. 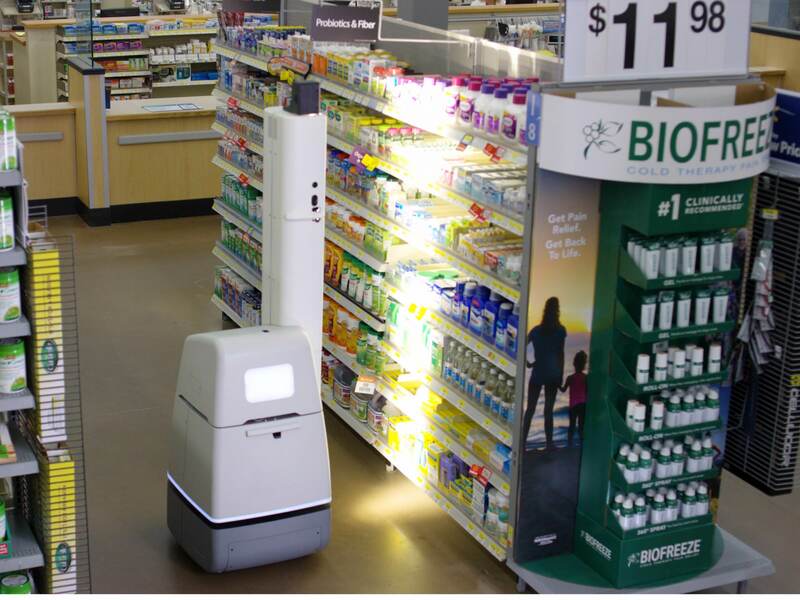 This entry was posted in Computer, Financial, Hardware, Murmuring, Social and tagged human, label, robot, star, trek, walmart on November 1, 2017 by Gea-Suan Lin. Here, we report an ultralow-cost (20 cents), lightweight (2 g), human-powered paper centrifuge (which we name ‘paperfuge’) designed on the basis of a theoretical model inspired by the fundamental mechanics of an ancient whirligig (or buzzer toy; 3,300 BC). The paperfuge achieves speeds of 125,000 r.p.m. (and equivalent centrifugal forces of 30,000 g), with theoretical limits predicting 1,000,000 r.p.m. This entry was posted in Murmuring, Science, Social and tagged biomedical, centrifuge, engineering, human, man, medical, nature, paper on January 13, 2017 by Gea-Suan Lin. This entry was posted in AWS, Cloud, Computer, Murmuring, Network and tagged amazon, aws, cloud, human, interface, language, lex, machine, polly, service, speech, text, voice on December 1, 2016 by Gea-Suan Lin. In doing so, the Washington Post has achieved an ignominious feat in U.S. media history: the first-ever paper to explicitly editorialize for the criminal prosecution of its own source — one on whose back the paper won and eagerly accepted a Pulitzer Prize for Public Service. But even more staggering than this act of journalistic treachery against the paper’s own source are the claims made to justify it. 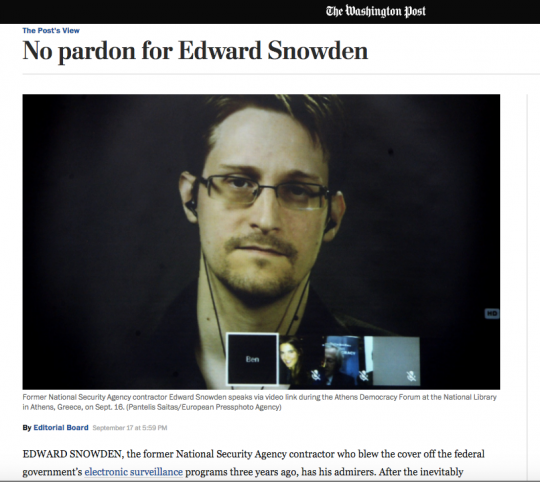 This entry was posted in Computer, Murmuring, Network, Political, Security, Social and tagged human, news, newspaper, post, privacy, pulitzer, right, snowden, washington on September 24, 2016 by Gea-Suan Lin. – It must neither have selected nor modified the information contained in the transmission. In an effort to strike a balance between protecting a service provider from third party liability and the rights of IP owners, the Court ruled that providers can be required to end infringement. One such measure could include the obtaining of an injunction which would force an operator to password-protect his open WiFi network in order to deter infringement. On a more positive note, the Court rejected the notion of monitoring networks for infringement or taking more aggressive actions where unnecessary. “[T]he directive expressly rules out the adoption of a measure to monitor information transmitted via a given network. Similarly, a measure consisting in terminating the internet connection completely without considering the adoption of measures less restrictive of the connection provider’s freedom to conduct a business would not be capable of reconciling the abovementioned conflicting rights,” the Court concludes. This entry was posted in Computer, Murmuring, Network, P2P and tagged court, directive, eu, european, human, justice, law, legal, liability, monitor, network, open, operator, pirate, privacy, right, security, union, wifi, wireless on September 24, 2016 by Gea-Suan Lin. This entry was posted in CMS, Computer, Murmuring, Network, Wiki, WWW and tagged human, metadata, robot, wikimedia, wikipedia on November 8, 2014 by Gea-Suan Lin. This entry was posted in Computer, Murmuring, Programming, Recreation, Software and tagged detect, detection, face, fitness, human on July 22, 2012 by Gea-Suan Lin.